Hello Friends, In this post, We are going to tell you about eligibility criteria for apply Ayushman Bharat PM Jan Arogya Yojana. We will tell that who is apply for Ayushman Bharat PM Jan Arogya Yojana (AB-PMJAY) and who is not applicable to apply. And also talk about what we need to apply for Pradhan Mantri Jan Aarogya Yojana. We all know that India, It is a large population and lots of people can not afford (financially) the treatment serious diseases in hospitals. In a Case Study in India, It was found that 5.5 crore people are reached the poverty line only because of they had to pay a large amount of hard nad earn money in the hospitals for treatment. And 3.8 million people became poor due to spending money on medicines. 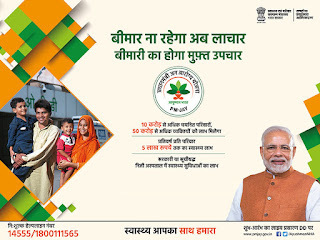 Ayushman Bharat PM Jan Arogya Yojana is a large scale program in India to create a healthy and capable country. Ayushman Bharat PM Jan Arogya Yojana is combination of two major elements-National Health Protection Scheme and Wellness centres. It is new initiative under National Health Protection Mission. 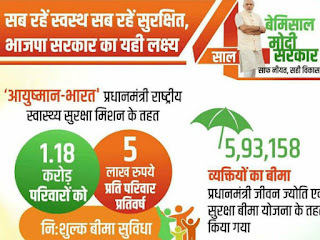 Ayushman Bharat PM Jan Arogya Yojana is an very affordable health insurance scheme for the poor Indian people. The Ayushman Bharat (also known as Modicare) scheme announcement was made by PM Narendra Modi on Independence Day speech. The two major aims of Ayushman Bharat PM Jan Arogya Yojana (AB-PMJAY) are providing the comprehensive primary healthcare services by creating a network of health & wellness infrastructure and provide health assurance and cashless treatment to patients. There is no enrollment process in Ayushman Bharat National Health Protection Mission. 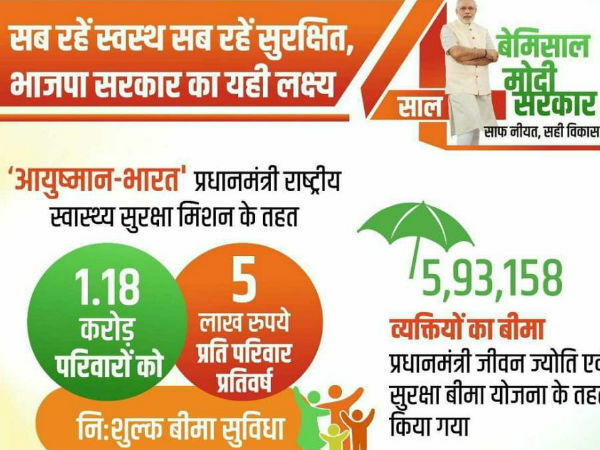 Pradhan Mantri Jan Arogya Yojana is an entitlement based mission. The government is decide eligibility for AB- NHPM on the basis of deprivation and occupational criteria using the Socio-Economic Caste Census (SECC) database 2011. 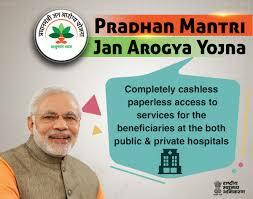 As per study, More then 10 crore families will be receive complete benefit under PMJAY. Aadhar card is not mandatory, To take advantage of this scheme, beneficiaries have to establish their identity like Aadhar card, voter card, ration card and other identity card provided by Indian government. As per guidelines, there will be no family size Limitations (big or small) to take advantage.